Originally designed for table top shooting, this modular multi-axis jib arm support system has adjustable fluid tension at all 5 axes (6 with the third axis module). Carbon fiber construction and ultra precision robotic bearings combine for smooth, free floating camera control. 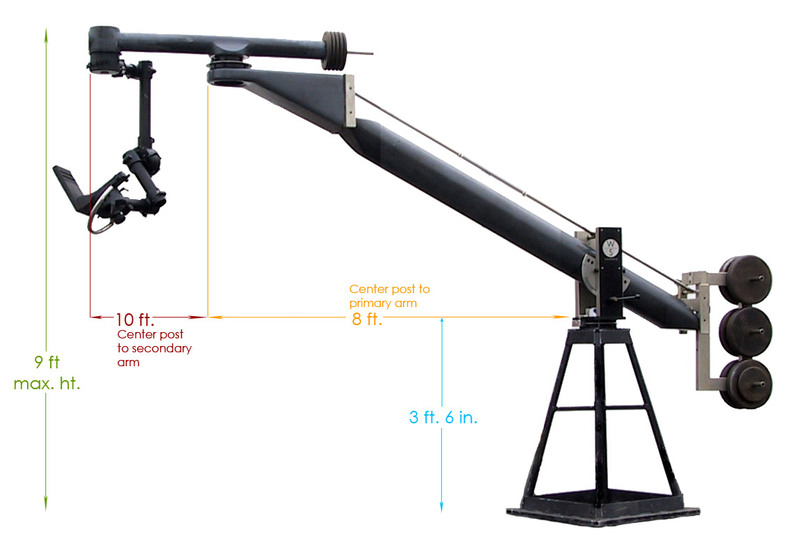 The multi axis jib arm can also be assembled without its secondary arm for a standard jib configuration. A steel support base is available with scaffold leveling jacks to be able to set up the arm in any terrain. Requires standard size cargo van for transport. 2: Welded base with leveling jacks for any terrain.